We survived Day 1 of the Welfare Food Challenge. There are lots of interesting people blogging and tweeting about their experiences. I’ve been surprised to see a number of people buying cans of beans. Obviously more convenient, but a lot more expensive than dried beans. After Day 1, I feel well fed but gassy. I guess eating a lot of beans will do that. 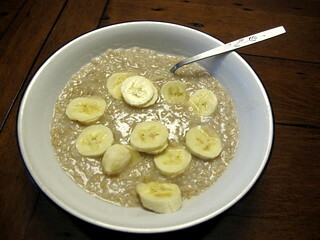 Breakfast was a simple but filling meal of oatmeal, half a banana, and a spoonful of sugar. 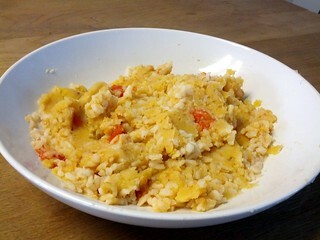 Lunch was rice, lentils, tomatoes, and a few carrots. We made way too much and now have leftovers for lunch tomorrow. 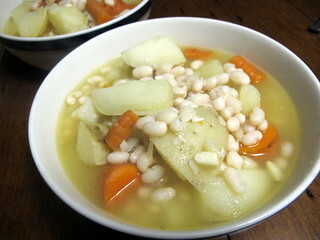 For dinner I made a simple soup with potatoes, carrots, white beans, garlic, and broth. Nothing fancy, but satisfying. 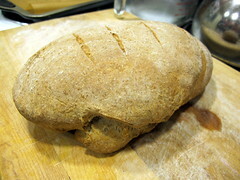 I also made bread (one loaf tonight and one ready to bake tomorrow). 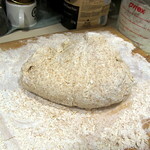 Here is the recipe I followed. 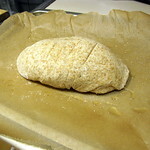 It took a few hours (most of it waiting for it to rise), so it wasn’t ready in time for dinner. It just came out of the oven and is the ugliest looking loaf of bread I’ve ever seen (kind of slug like), but it smells delicious and tastes pretty good. Although I wish I had honey or jam to spread on it. Category: 2014 Day 1, 2014 Welfare Food Challenge, 2014 WFC Participant Blog Tags: Christopher P. + Emily B.